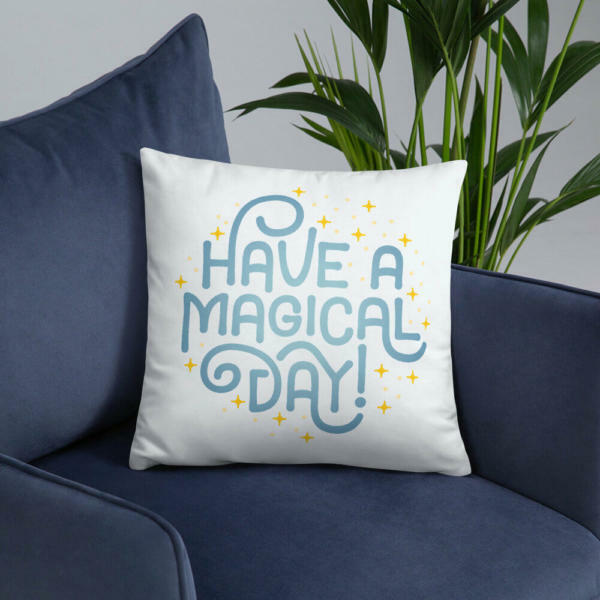 This Disney gifts "Have a Magic Day" Disney pillow makes for a fun and unique Disney lover gift or Disney Cast Member gift. It even makes a great pillow for your home or office. Spread joy and Disney magic every day! This Disney gifts “Have a Magic Day” Disney pillow makes for a fun and unique Disney lover gift or Disney Cast Member gift. It even makes a great pillow for your home or office. Spread joy and Disney magic every day!